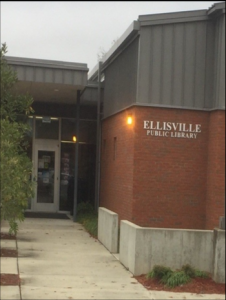 The Ellisville Public Library is pleased to announce that it has a beautiful new sign and building designation in place! 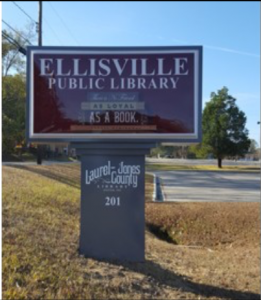 The custom Laurel-Jones County Library System logo, designed by Erin Napier, is now prominently displayed on our stand- ing roadside sign. We hope our new signage will serve as a welcoming beacon to everyone.